In Luis Urcino v. Attorney General Jefferson Sessions, the United States Ninth Circuit Court of Appeals held that an immigrant, who was wrongfully convicted and unfairly deported, was entitled to have the deportation overturned. For United States citizens, a conviction may typically result in a period of incarceration and a hefty fine. A wrongful conviction for an undocumented immigrant can destroy their life. Deportation to a country where you have not been to or have not lived in for many years, being torn apart from loved ones, your family, spouse, children, is the tragic consequence of deportation. In criminal court, over 97% of all felony convictions are the result of plea negotiation. The accused gives up their constitutional rights before trial in exchange for a better plea deal. Often the prosecutors will overcharge in an attempt to persuade the accused to enter a plea, to avoid the exposure to lengthy jail time. Fundamental in every plea negotiation is that the process is constitutional, that the plea is knowing, intelligent and voluntary. 9th Circuit court of appeals, Pasadena. Photograph by Shan Potts Law Offices. To ensure fairness, the accused needs to fully understand the consequence of his plea before relinquishing his right to trial. In the case involving Urcino, after asking the court to take a closer look at the conviction, the California Criminal court recognized the unfairness in Urcino’s conviction, that his plea was not knowing, intelligent and voluntary and allowed the plea to be withdrawn, nunc pro tunc. But there was one problem, even when the deportation order was premised on a wrongful conviction, the Immigration Court refused to acknowledge Urcino’s motion to reopen his case and dismiss the deportation order. 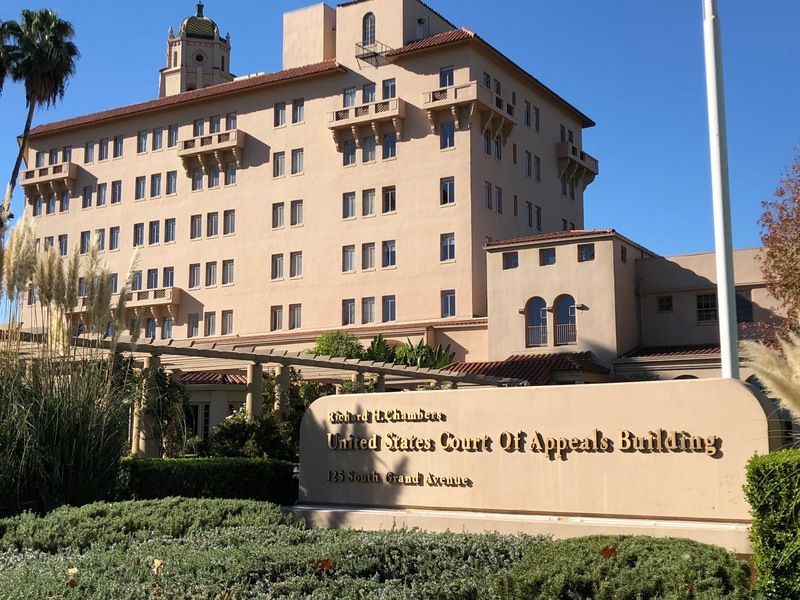 Following the Immigration Court’s refusal to reopen the case and dismiss the deportation order Attorney Shan Potts petitioned the United States Court of Appeals in the Ninth Circuit to review the unlawful deportation order. The Ninth Circuit relying on the precedent decision, Cardoso-Tlaseca v. Gonzales agreed to reopen and rescind the deportation order against Urcino. Mr. Potts at 9th Circuit Court. Citing Cardoso the Ninth Circuit recognized that if there was a constitutional defect, as was the case for Urcino, then deportation would be illegal. The Ninth Circuit ordered that the case be reopened and Urcino would be brought back into the country. The disproportionately harsh consequences that crashed down upon Urcino aren’t uncommon and happen all too often to immigrants residing in the United States. But a wrongful deportation or conviction does not necessarily mean all opportunities are lost. If you find yourself wrongfully deported or wrongfully convicted, you too can seek a second chance. Shan Potts Law Offices is well versed in challenging unlawful removal orders and criminal convictions. The legal system is not as inflexible as one might believe, and with the right resources, anyone can advocate for justice. Contact us at 323-803-7147 if you or someone you know requires legal assistance. Educate yourself: Have a knowledgeable attorney at your disposal. If you don’t, then you need to consult with an immigration attorney and know your immigration options, if any. This means knowing your legal rights. What legal options are available to you right now. And knowing what you can apply for and what you can’t. Have a plan of action: Anticipate for the worse, prepare to protect your family. Anticipating for the worse means having all your ducks in a row. Essential, it’s about making sure you have all the tools in your toolkit to whether to storm. Create a family plan with family members. Create a financial plan to protect your assets. I’ve been representing clients for almost 20 years. Being knowledgeable, and knowing what your options are is really the key to those who find success. Those who don’t allow themselves to be victims of something they feel they have no control over. Hope is not lost. There are many things you can do. But the first thing is to have an attorney in your corner. Need to talk to a local attorney? We offer free consultations, leave us a message. Shan Potts Law Offices - All Rights Reserved.